When solar powered airplanes start flying around the world without emitting any pollution we have entered a clean future. That day has started. Solar Impulse is a project that will see a solar powered plane that can fly day and night, fly around the world. environment” say Bertrand Piccard and André Borschberg, founders of the Solar Impulse project. So why fly a solar powered plane around the world? Well, to prove that if we can do this today with our pimitive understanding of solar power and battery technology, just imagine if we applied the billions in subsidies that now go to the fossil fuel and supporting industries. The future is simply very bright as long as we the majority of people that can see this simple beatiful clean future make our voices heard loud and clear. The Future is Clean is a global petition, that aims to be the largest in human history, where we the people tell our elected leaders enmasse that we want a futured powered by clean green renewable energy and that is created using renewable resources. Join thousands that have already signed the petition and get all your friends to sign. This is about giving voice to your desire for a future not destroyed by climate change which is caused by our use of fossil fuels. We have about ten years to turn this giant crude oil tanker around. We can do it. However, it is up to you to say no to the bribes and free ride that fossil fuel and nuclear companies/industries get to pollute our environment. We can do and enjoy a better world when it is powered on solar, just like nature has been doing for millions of years. 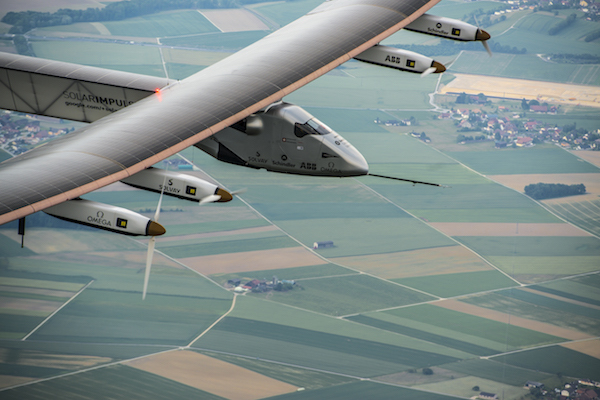 Check out Solar Impulse and the Future is Clean now. Sign the petition. Create a future that will inspire our children and leave them with clean air to breathe and abundant energy with which to express their creativity.